The Driverless City Project will develop social scenarios, technical solutions, infrastructure prototypes, and model urban codes that transform city streets into twenty-first century human infrastructure. Research workshops, computer simulations, visionary drawings, physical models, and narrative videos will give shape to this future city. These elements will be further developed into smart driving control systems, design guidelines for transportation agencies, model municipal codes, and infrastructural prototypes. As cities around the world leverage the opportunities and manage the impacts of driverless cars, this crucially important project investigates a transformative advance in transportation and communication technologies—the kind that have always changed cities and demanded new forms of physical infrastructure. In the next decades we can improve urban social life by increasing the ecological performance, safety, and efficiency of streets while also recovering underused land and revitalizing our cities. 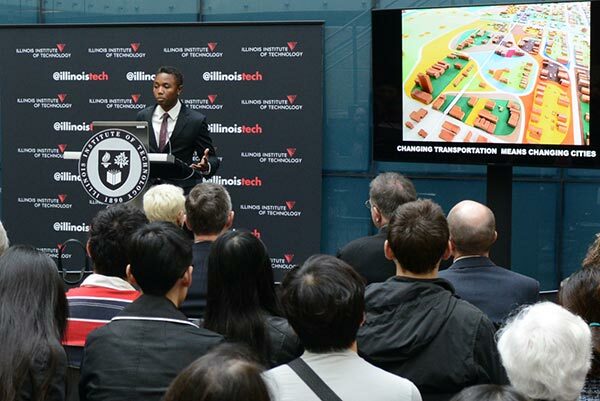 An interdisciplinary team with a strong record of excellence and impact across the fields of urban design, landscape architecture, transportation engineering, sociology, smart cities, and planning law will investigate The Driverless City. Marshall Brown, associate professor of architecture, has been recognized for his work on the challenges of twenty-first century urbanism and will represent the United States at the 2016 Venice Architecture Biennale. Lili Du, assistant professor of transportation engineering, is an expert whose research addresses the performance of connected and autonomous vehicle systems. Laura Forlano, assistant professor at the Institute of Design, has been researching the design and use of sociotechnical systems in cities from a critical perspective for more than 10 years. Jack Guthman is a planning attorney whose considerable experience includes zoning counsel for more than 40 million square feet of development and 12 years as chairman of the Chicago Zoning Board of Appeals. Ron Henderson, director and professor of landscape architecture, has received international awards for his work on designing the public realm with a focus on the integration of ecological systems into parks and transportation landscapes.